1. Myth: The 2005 Bankruptcy law overhaul eliminated the “no payment” Chapter 7 option. Fact: Although there are more hoops to jump through the “no payment” Chapter 7 still exists. 2. Myth: If I file bankruptcy I will lose my house, car, and retirement. Fact: Most Bankruptcy clients lose nothing except their debts. 3. Myth: The Court will come to my house and look around. Fact: The Court almost never visits your house. 4. Myth: Everyone will find out when I file bankruptcy. Fact: Filing bankruptcy is public record, but newspapers generally do not publish a list. 5. Myth: If I file bankruptcy I will not be able to get credit again. Fact: Many bankruptcy filers are able to get an unsecured credit card shortly after filing. 6. Myth: My creditors will be at my bankruptcy meeting. Fact: Creditors rarely attend creditor meetings. 7. Myth: I will be fired if I file bankruptcy. Fact: Employers are not allowed to fire you simply because you filed bankruptcy. 8. Myth: If I file bankruptcy, my spouse has to file with me. Fact: Your spouse does not have to file bankruptcy with you. 9. Myth: My debts can’t or won’t be discharged. Fact: Most debts except student loans, recent tax debt, debts incurred via fraud, and domestic support obligations are discharged in bankruptcy. 10. 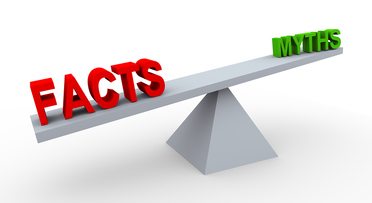 Myth: My creditors will continue to harass me after filing bankruptcy. Fact: Creditors can be sanctioned by the Court for attempting to collect discharged debt.